The kids start running in a different direction, courtesy of superstar writer Joss Whedon! Rebellious teens Nico, Chase, Karolina, Molly, Victor and Xavin are survivors. All children of super villains, they turned against their evil elders to become amateur super heroes. 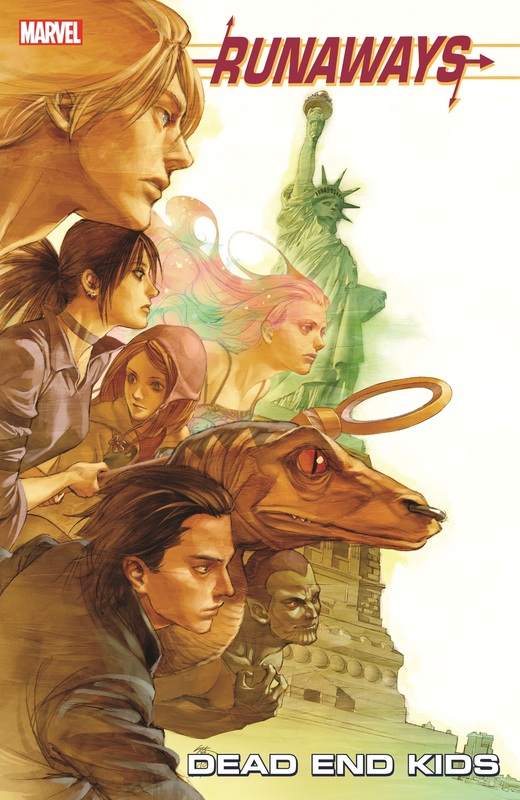 But when the authorities chase them out of Los Angeles, the Runaways forge an uneasy alliance with East Coast crime boss Kingpin, placing them on a collision course with the killer vigilante Punisher. 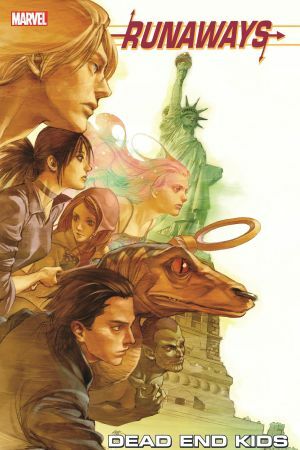 The ensuing disaster hurls the kids a century backward in time, trapping them in 1907 New York — home of child labor, quaint technology and competing gangs of super-folk known as “Wonders.” Can the Runaways escape a super-powered war on the streets of New York and get back to the future? Find out in a timeless tale of comedy, romance and old-fashioned heroism! 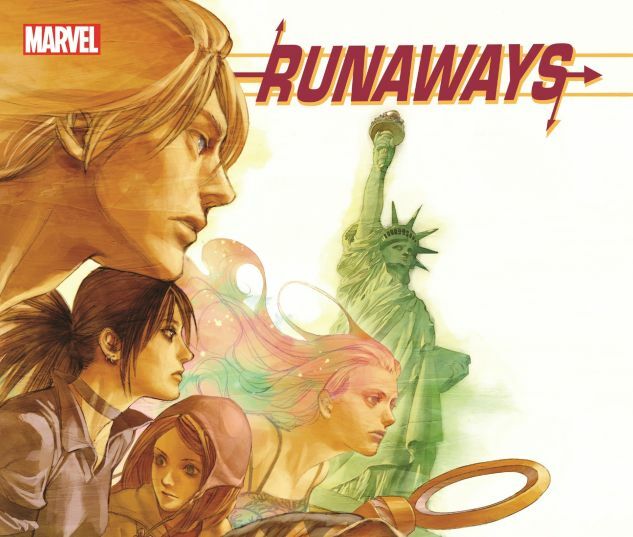 Collecting RUNAWAYS (2005) #25-30.